Last Saturday, Winnipeggers celebrated architecture, design, and urbanism as part of Storefront’s fourth annual Table for 1200 event. MMP was once again a proud table sponsor for this pop-up 1200-foot-long outdoor dining experience. 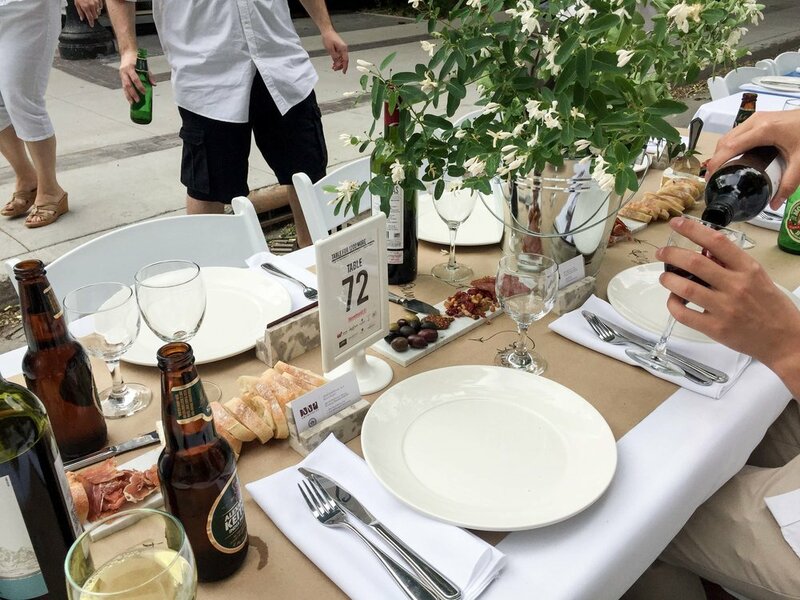 This year’s 150 tables of eight followed Rorie Street from Market down to Portage and Main. The weather co-operated, and the eight MMP employees along with our 1,192 co-dining guests enjoyed a delicious sunset meal catered by local chefs Mander Hitzer (Deer+Almond) and Ben Kramer. A few photos from the event can be seen above. More information on the Table for 1200 More event can be found both here, and on the StorefrontMB website.